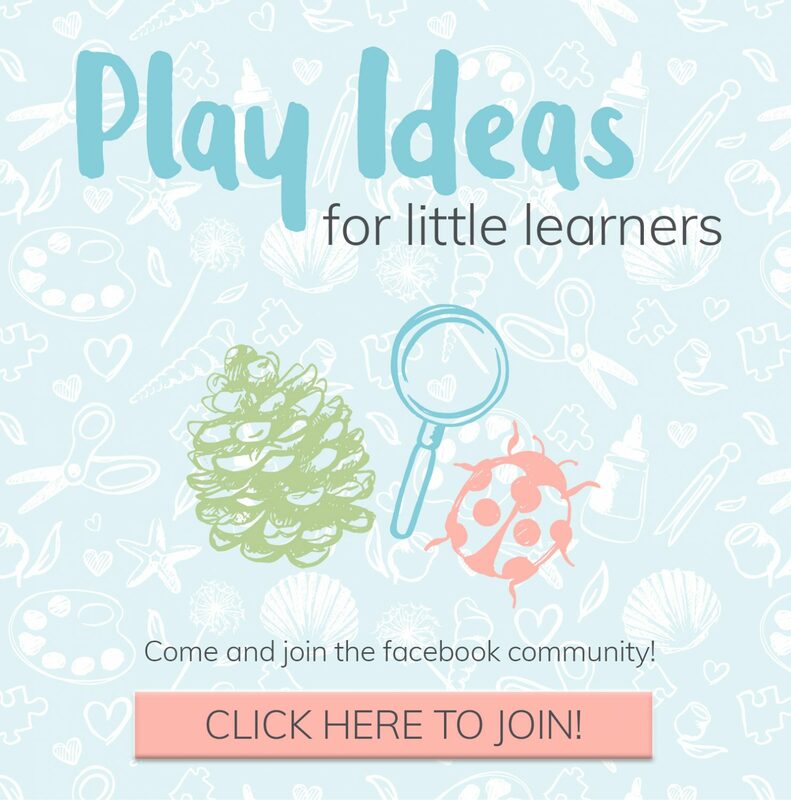 Babies develop and grow at a rapid pace during their first year of life and there are many things you can do to help fire off those brain connections! 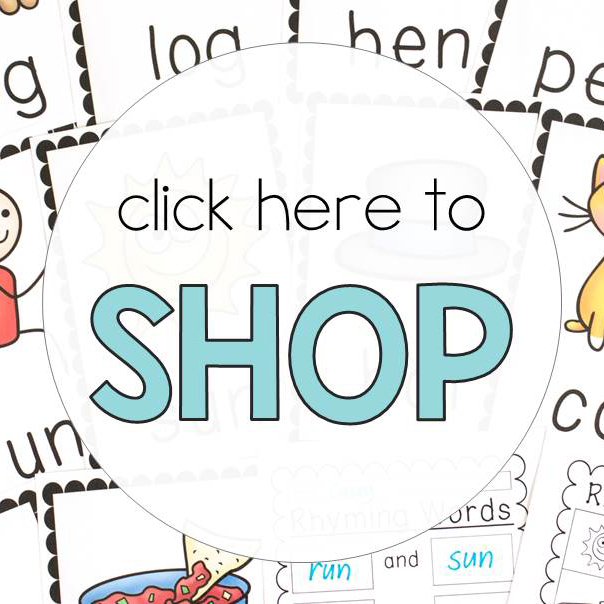 Visual stimulation is an important developmental stage which you can help strengthen very easily. 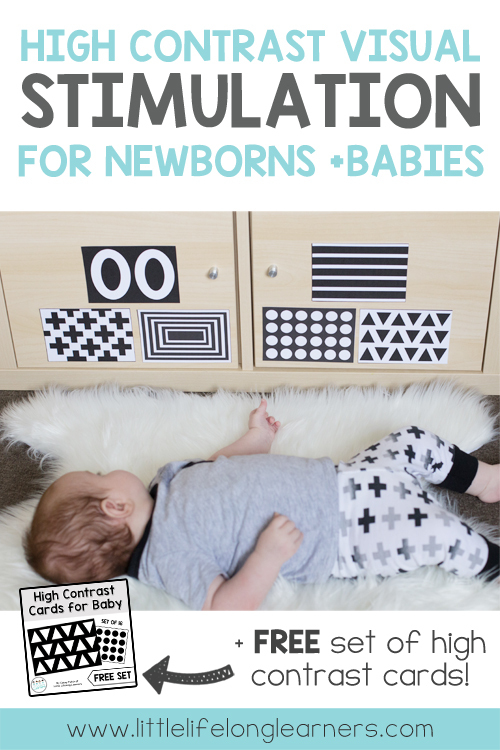 Research has shown that the retina of a newborn baby isn’t fully developed and that simple, high contrast, black and white images are a great way to help develop their eyesight. While adults can distinguish the differences between hundreds of different shades and colours, a newborn baby can only distinguish between stark contrasts such as black and white. I created a set of 16 black and white, high contrast cards for you to use around your home to provide that important visual input. 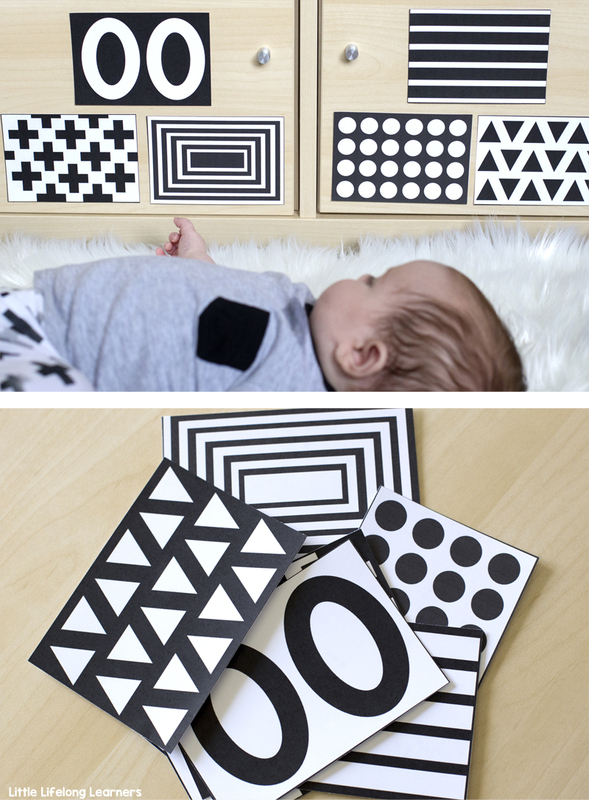 You might like to place these cards on the wall next to your change table or your safe play space so that baby can view the images and strengthen their eyes. You’ll be amazed at how long your baby will look at the images! Ideally, you should place the cards within 20-30cm from your baby as they can’t focus much further than that. You can click the button above to grab your set for free! 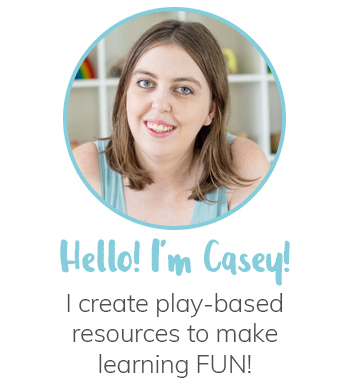 I’d love to see how you use these cards (or any of the other goodies in the library) so please do share them on instagram and tag me using my #littlelifelonglearners hashtag!